Il 12 novembre 2018 è stato firmato dal Rettore della Thai Nguyen University of Agriculture and Forestry, prof. Dr. Tran Van Dien, l’accordo di cooperazione con l’Università degli Studi di Genova. L’Ateneo genovese era rappresentato dal prof. Guido F. Amoretti. Inviato dal Magnifico Rettore, prof. Paolo Comanducci, a Thay Nguyen, città vietnamita a nord di Hanoi per far firmare l’accordo e avviare i contatti per sviluppare progetti in comune. 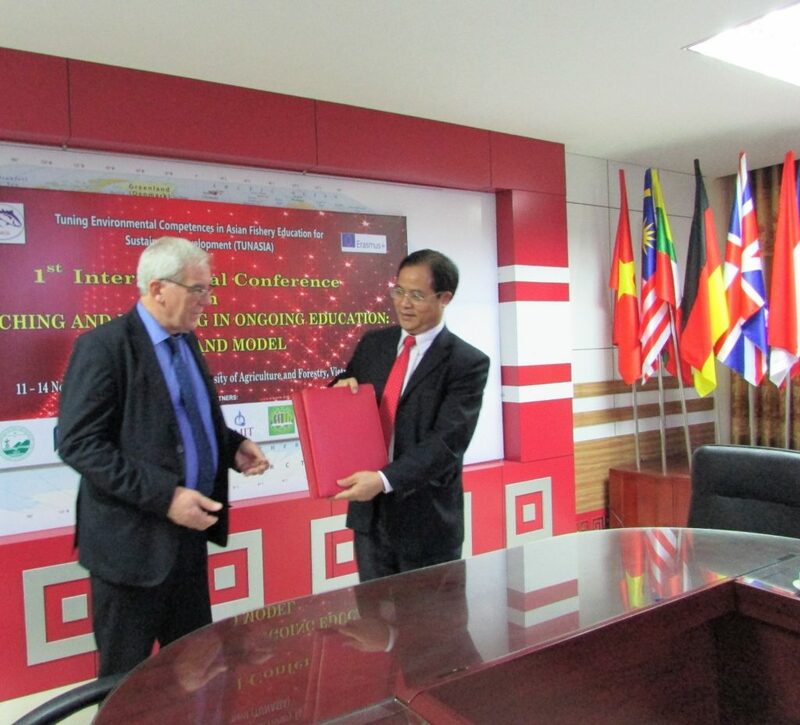 On November 12, 2018, the Rector of the Thai Nguyen University of Agriculture and Forestry, Prof. Dr. Tran Van Dien, signed a cooperation agreement with the University of Genoa. 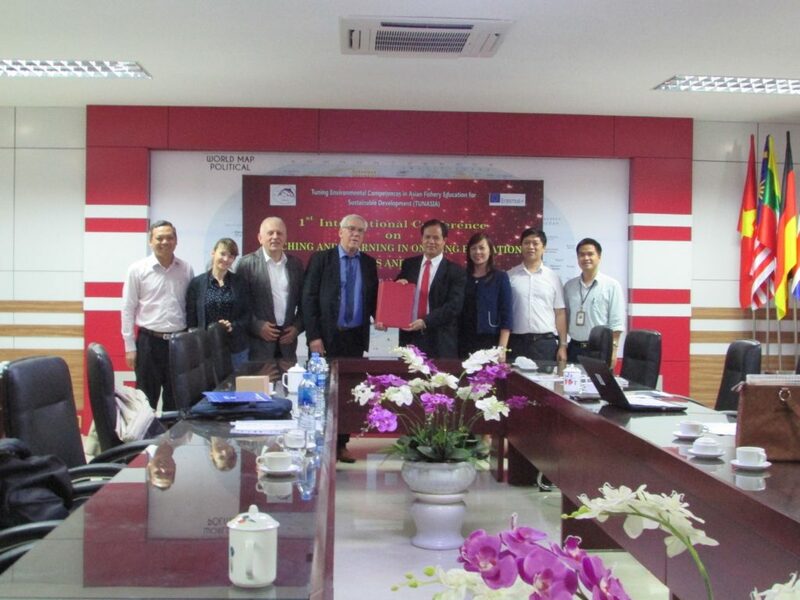 Prof. Guido F. Amoretti represented the University of Genoa on behalf of the Magnificent Rector, Prof. Paolo Comanducci, to Thay Nguyen, a Vietnamese city north of Hanoi, to sign the agreement and initiate contacts to develop joint projects. After the signing ceremony, the foundations were laid for the activation of double diplomacy with a Master’s Degree in Valorisation of Territories and Sustainable Tourism recently activated at the Pole of Savona, and to collaborate on research projects funded by the European Union in the framework of the Erasmus+ action. Il prof. Dr. Tran Van Dien, Rettore della Thai Nguyen University of Agriculture and Forestry, consegna al prof. Guido F. Amoretti, in rappresentanza del Magnifico Rettore di UNIGE, prof. Paolo Comanducci, copia dell’accordo sottoscritto / Prof. Dr. Tran Van Dien, Rector of the Thai Nguyen University of Agriculture and Forestry, hands over to Prof. Guido F. Amoretti, representing the Magnificent Rector of UNIGE, Prof. Paolo Comanducci, a copy of the agreement signed. 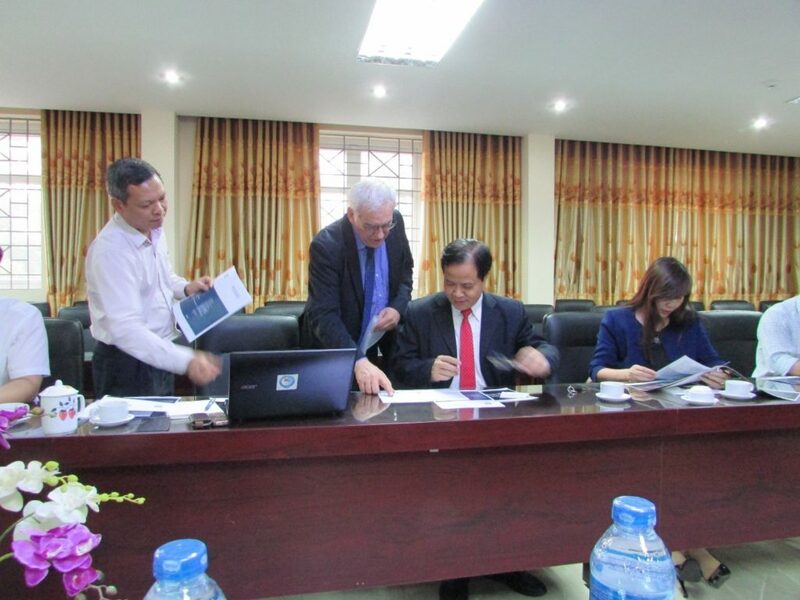 From left to right: Dr. Nguyen Huu Tho (Head of International Relations at T.U.A.F. ); Dr. Diana Spulber, (UNIGE Political Science Department); Prof. Alessandro Figus (Head of International Relations at IMI, Moldova); Prof. G.F. Amoretti (UNIGE Department of Science of Education); Prof. Dr. Tran Van Dien (Rector of T.U.A.F.) and some of his close collaborators.